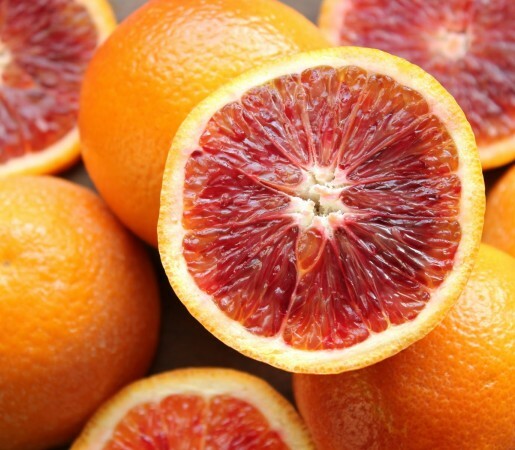 This crimson-red pigment so adored in the blood orange comes from the blood oranges unique ability to produce Anthocyanins which is extremely rare for Citrus fruits. Anthocyanin, most commonly found in berries such as the blueberry, flowering plants and red wine (derived from red grapes) is one of the most powerful phyto-chemicals known in the plant kingdom. This group phyto-chemical’s are known for their potent antioxidant capability, being some 150 times more powerful than Vitamin C alone and along with their ability to be beneficial in so many parts of health.